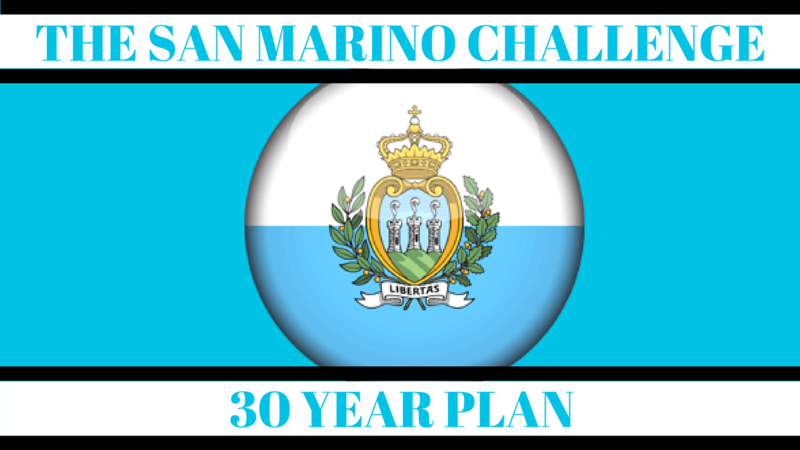 We've all seen it and we have all heard about it one of the hardest challenges in Football Manager history is the San Marino challenge. 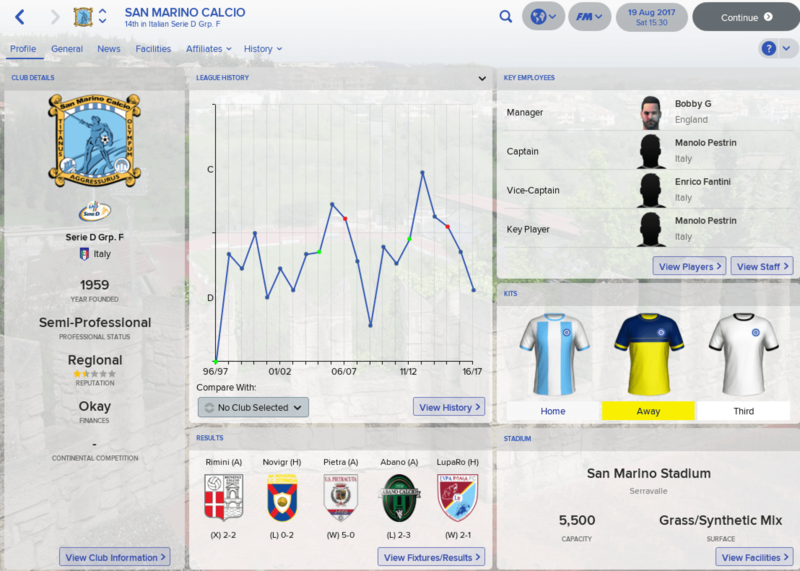 Today Bobby G has been appointed as San Marino Calcio manager and in doing so has laid out a 30 year plan for San Marino football to take them from laughing stock to world cup winners. 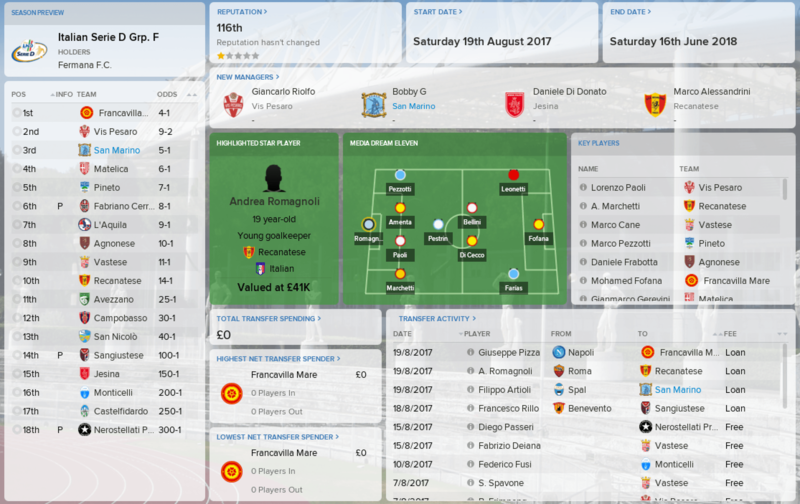 Season 1 in Serie D is predicted to be a decent one with a chance of promotion at our first go to Serie C. Quick movement between the lower divisions will be key to survival with regards to finances. The team haven't jelled well in pre season & we go into the first game with match cohesion at an all time low. I will be working on this predominantly on the training ground to get everyone on the same page. 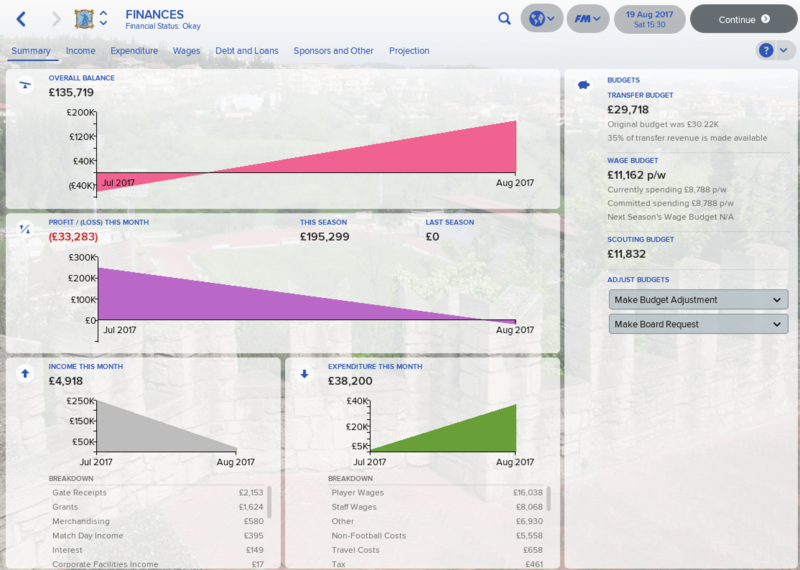 The finances at the club are good but we're haemorrhaging money right from the get go. A plan to release all non essential plays is critical to the longevity of the club. 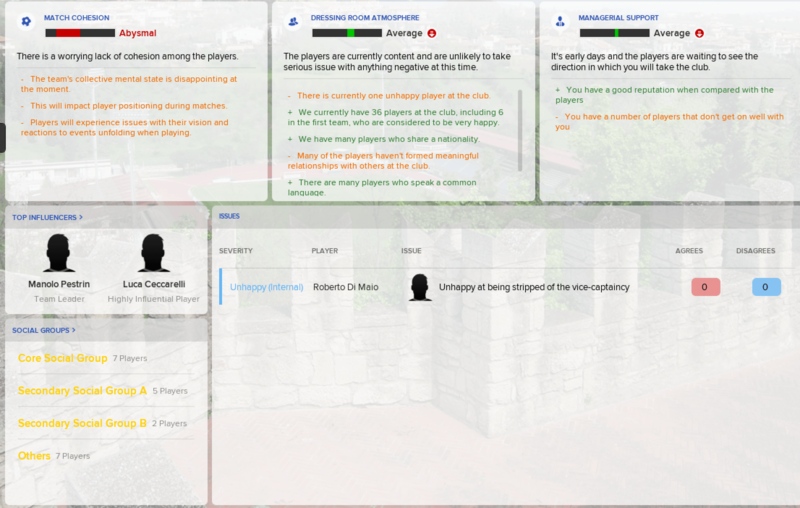 The transfer market has been slow but we have 3 key capture coming into the club to start the season. We will start the season out like we do each save in Mike Bassett style playing 4 - 4 - F**()& - 2, looking to play wide counter attacking football. I will be updating the post each half season with updates as well as running parrallel videos on my youtube channel. I can't wait to get stuck into this one and see just how far we can go! Well well season one is in the books!! Season 1 of 30 is complete! We have just turned the corner in the final 1/4 of the season & can't wait to build the team for the start of season 2! It's been emotional, there's been sackings, failing but we dust ourselves of for year 2! Its a massive turn around and can we close out season 2 with promotion & the Siere D title? After an incredible season 2 - a RECORD setting season 2 - we get Season 3 underway today!! On a roll in Siere C! Season 3 Episode 3 is now live on the channel & it is a right goal feast! 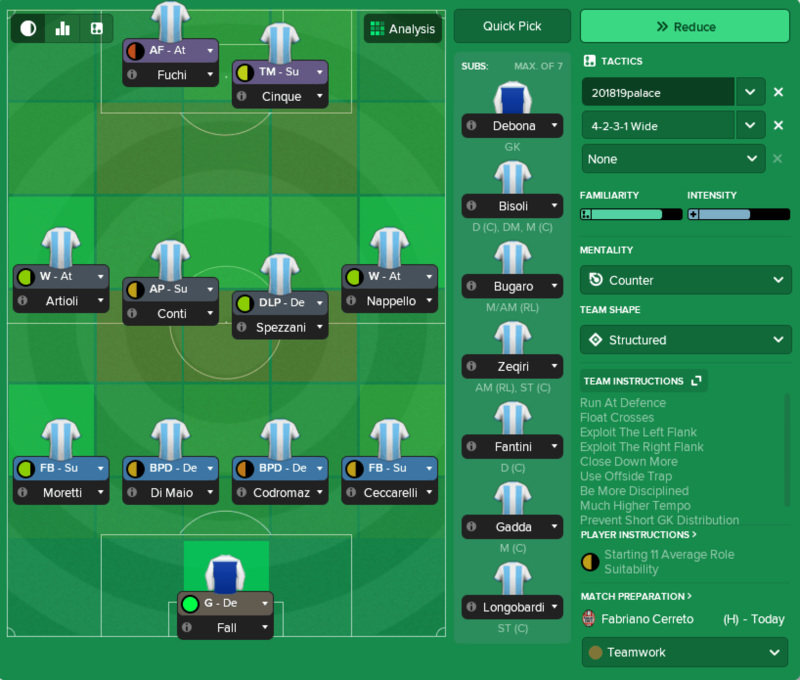 The final game of siere C - can we get promoted? Season 4 E4 - For Promotion!! 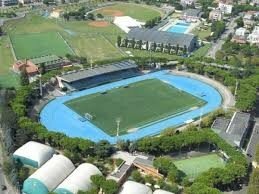 You are reading "FM18 - San Marino Challenge". Handcrafted in Symi, Hellas. Page created in 0.434 seconds.